You can make a simple multiple alignment for all interfaces in a cluster by Pymol. The Pymol Script files (with extension .pml) are included in the interface cluster tar.gz file. After you unzip the the interface files, just double click the Pymol script file, the superposition of the interfaces is displayed in Pymol. All interfaces in the cluster are aligned to the first interface in the alphabet order. There are two Pymol script files: GroupID_ClusterID.pml and GroupID_ClusterID_bychain.pml. Please note these are just simple multiple alignments for your convenience. In some cases, the alignments are not working very well, manual adjustment is necessary. 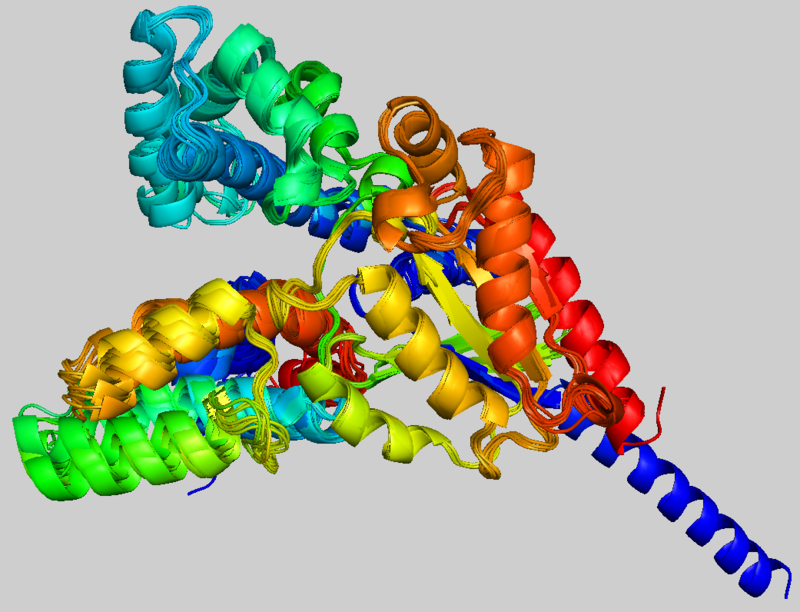 Here is an example for the cluster 1 of the (Galpha);(RGS) group.